The Mekong Delta is home to not only a confluence of rivers, but also cultures and unique ways of life. Spend some time on these shores to take in the pace of rural life or journey out on the Mekong River itself to discover the charms of Vietnam on the water. 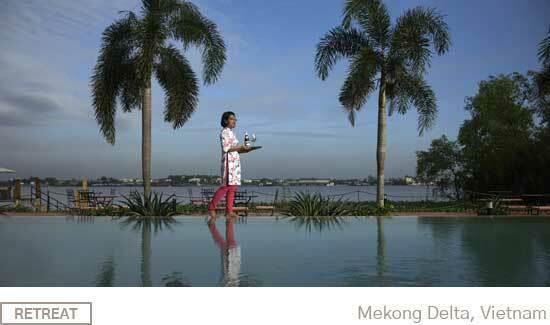 From your window at The Island Lodge, take in the Mekong riverscape and lush gardens as you relax and unwind. Just 90 minutes south of Saigon, here you’ll discover a boutique hideaway set on a small island in the delta. Enjoy French-Vietnamese style, local art, tropical luxury and an exotic getaway you’ll never forget. Special offers for summer stays at Island Lodge available now. Book your summer stay now online or contact the Secret Retreats Concierge for personal assistance with your reservations. Journey aboard The Jahan, a charming British-Indian colonial charm river cruiser featuring the finest modern amenities and sumptuous Indochine style. Indulge in luxurious living on board – complete with a sun deck, Jacuzzi, spa, al fresco bar and more – and travel the waterways of Vietnam whilst discovering the region’s rural heritage. 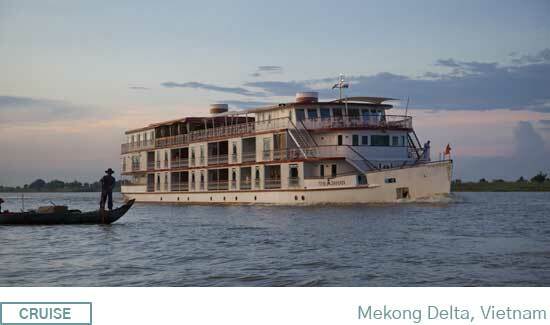 The overnight Bassac Cruise carries you to the greener areas of the Mekong Delta. Aboard a wooden vessel built according to local maritime traditions and adapted for discovery cruises, witness the delta’s unique nature, villages, pagodas and famous floating markets. Onshore, stay at the quaint Nam Bo boutique hotel for a leisurely evening to further unwind. 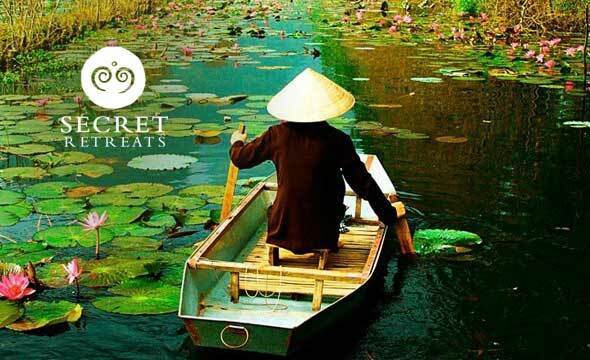 From 3 to 14 nights discover the Mekong Delta on a Secret Retreats journey to suit your travel plans. Private tours, designed to match a variety of schedules and budgets, each journey has been custom designed by our team on the ground, local experts, who have paired the best of the delta experiences with Secret Retreats properties and boats. 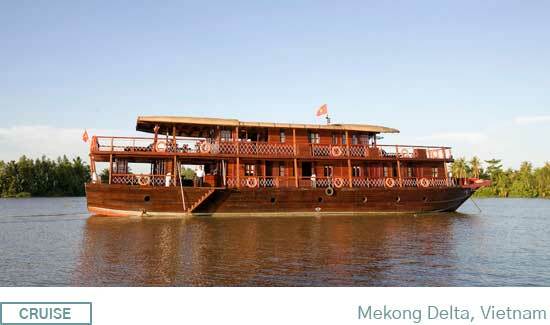 Book your Mekong Delta experience HERE.